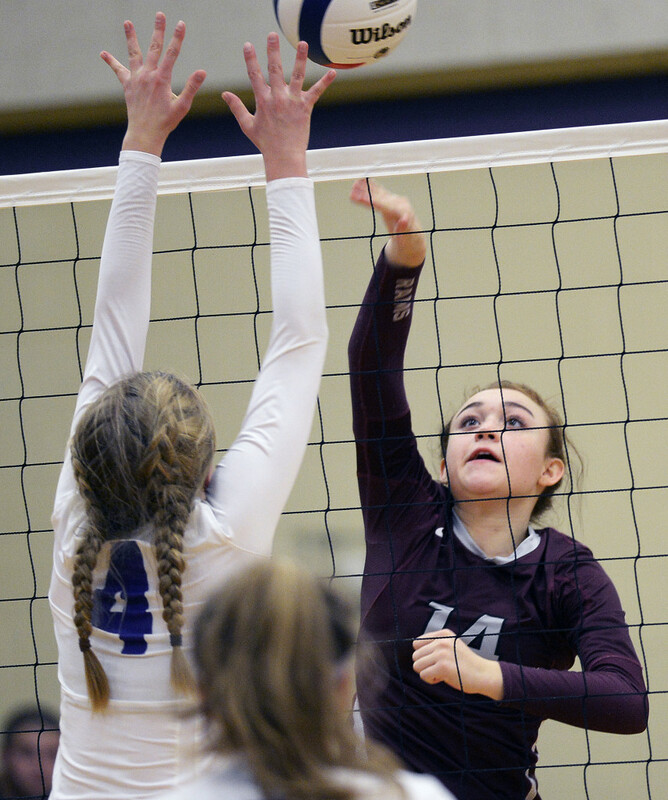 The Cheverus and Gorham High volleyball teams entered Thursday night’s Class A prelim with 9-5 records and not much knowledge about each other. But Gorham Coach Nicole Rizzo said the visiting Rams were just focused on playing their own game, and that was enough. 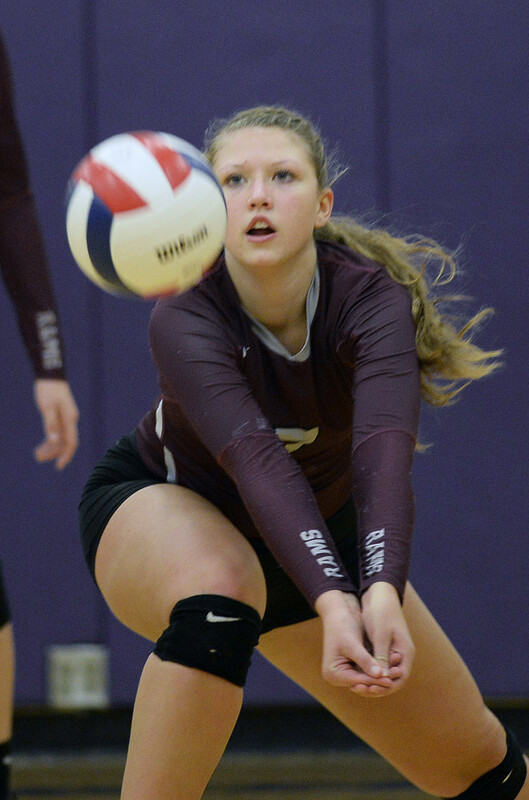 The ninth-seeded Rams shut out eighth-ranked Cheverus by set scores of 25-17, 25-11 and 25-19, earning a spot at top-ranked Greely (14-0) in the quarterfinals Saturday. Gorham remained in control for most of the first set. Carlson served an ace to pull the Rams up 6-5, and they never relinquished that lead. Isabelle Kolb sparked Gorham early in the second set, serving three aces for a 5-1 lead. 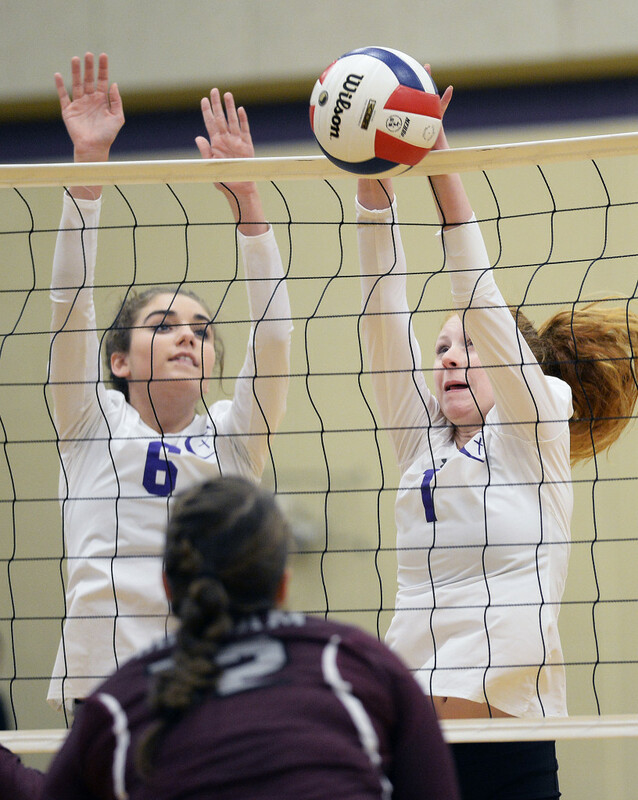 Liz Jerome ended the scoring run with a kill for Cheverus, but Curley took back possession with a spike into open court. From there Gorham steadily pulled away. Up 20-11, Carlson served three straight aces and Curley finished the set with two kills. 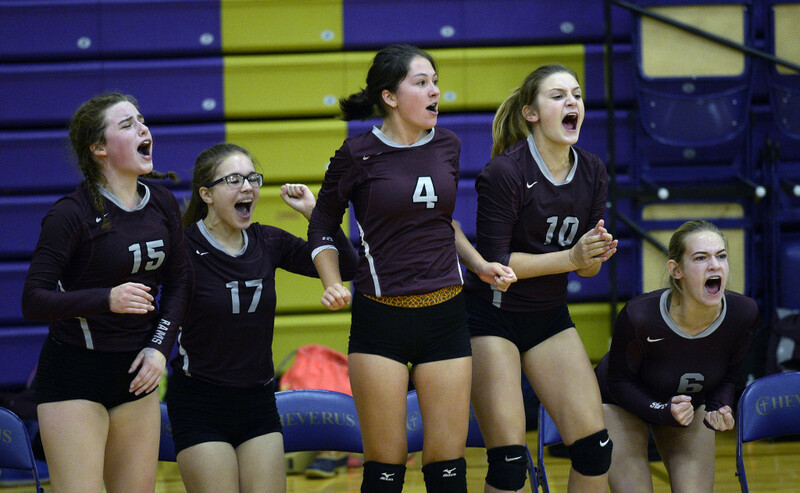 When the Rams jumped to a 9-3 lead in the third set – with Katherine O’Donnell serving four aces during an eight-point run – they looked poised to put the match away. But errors allowed the Stags the chance to rally, and an Emma Ivy kill cut the deficit to 12-10. Behind Emily Haley’s serving, Cheverus scored five straight points for a 13-12 lead. Ivy kicked off the run with a kill, and Mary Jerome’s blocking at the net earned another two points before a Haley ace capped it. Diana Kolb took back possession with a kill, making it 13-13. The teams exchanged leads twice before Gorham took over for good. A Curley kill made it 16-16, and she earned four of the team’s next nine points with a pair of kills and aces for the win. Mary Jerome led the Stags with four kills and two solo blocks, and her sister Liz Jerome added two kills. 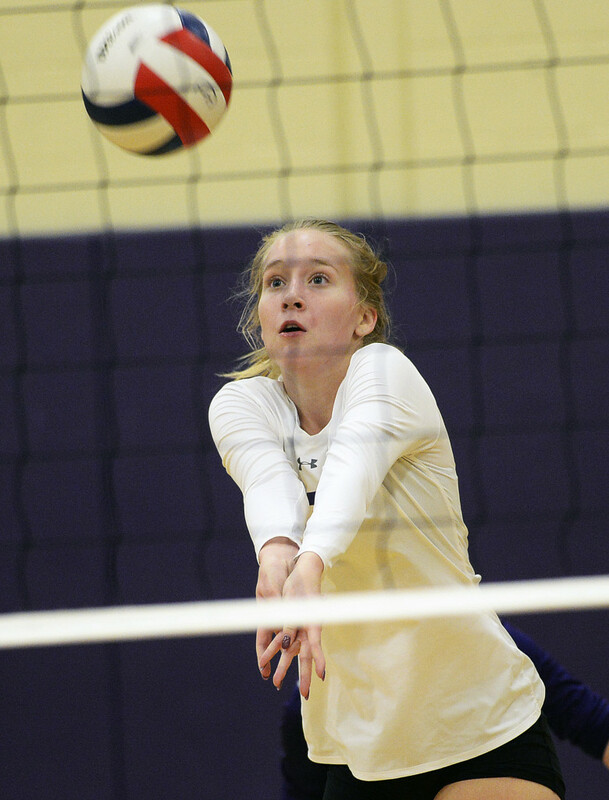 Madison Geiger had six digs for Cheverus. While Gorham lost to Greely 3-0 on Oct. 4, Rizzo said she’s optimistic about taking on last year’s state runner-up.